Our Global Village team is busy preparing for our build in Honduras this August. With individual and team fundraising, monthly meetings and learning about Honduras and its culture, this summer has been a big time commitment for the Global Village volunteers! In June, our team hosted a Honduras Culture Night to raise funds for the build trip. We raised over $5,000! At the event, guests enjoyed authentic Honduran cuisine and Garifuna dancing. They also bid on some exciting raffle and silent auction items such as a trip to Victoria, B.C., a BBQ grill package and a stuffed tool bag. 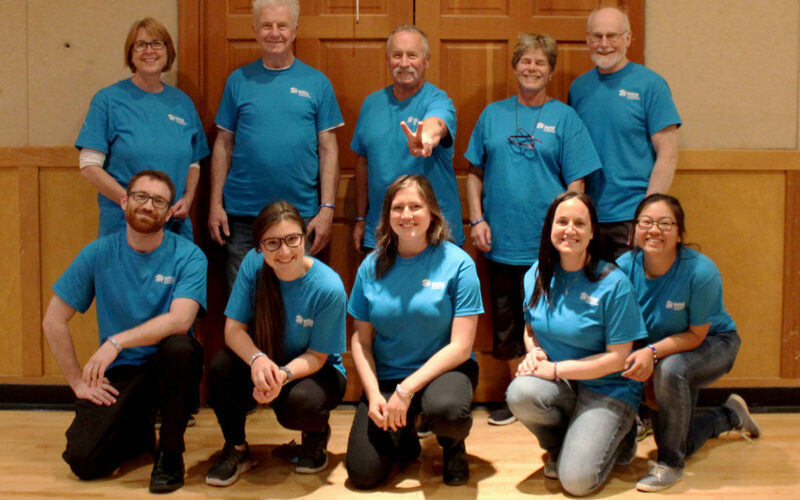 The team of Global Village volunteers spent hours acquiring silent auction donations and sponsorships to ensure the success of this fundraiser. They also spent time washing cars and fundraising individually through support letters to help cover the costs of the trip. June was busy for fundraising, but successful! Most team members covered between 80 and 100 percent of their trip costs through fundraising. Our last team meeting before the build trip is this month. We will discuss logistics for the trip as well as culture do’s and don’ts and specifics about the home we will build. We’ll also talk about housing in Honduras. My next update will cover what we learn about housing in Honduras. Thanks for reading!